Serious though this may sound, the story is told as a lighthearted romp with plenty of humor and silliness... as you might expect from a game starring a humanoid turtle and rabbit. Along the way, players may uncover several movement abilities that allow them to reach new areas and discover stat-boosting powrups, secondary weapons, and loads of generally useless doodads. The overall difficulty level is low, but there is plenty of action to be had, and numerous interesting locales and unique gameplay elements to keep things fresh to the end. 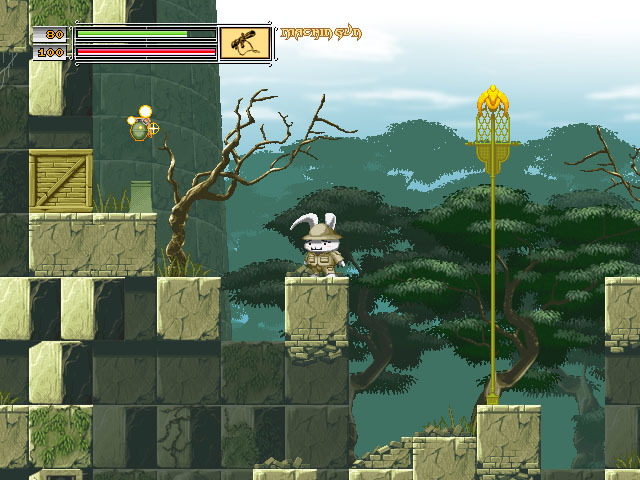 Pharaoh Rebirth+ is now available for PC via Steam. Check our coverage here.